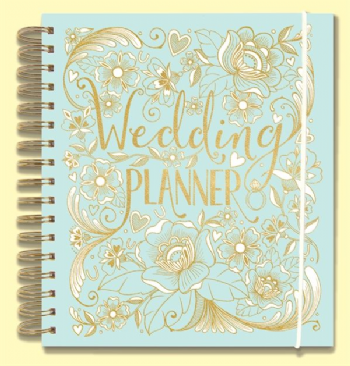 This gorgeous wedding planner is a must have for any new bride to be! 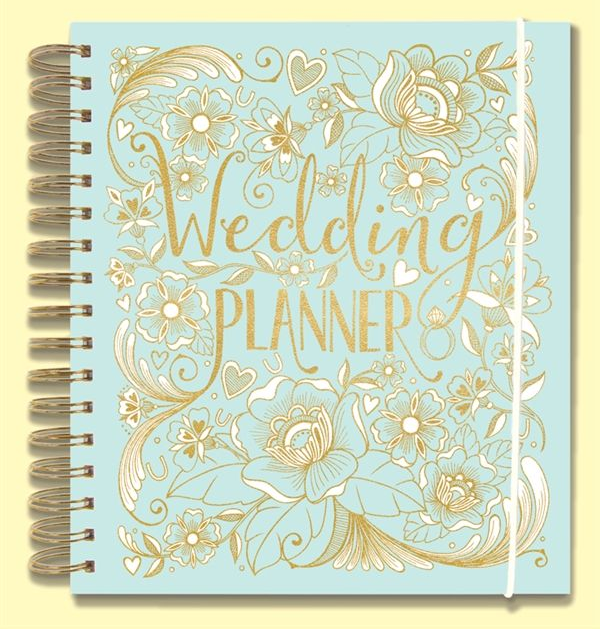 It is wire bound and has a hard cover with an elastic part to close it. 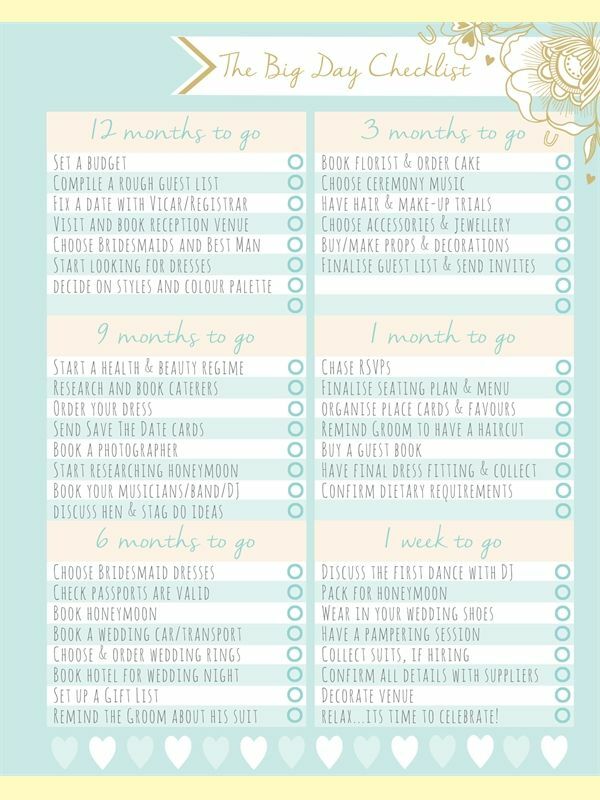 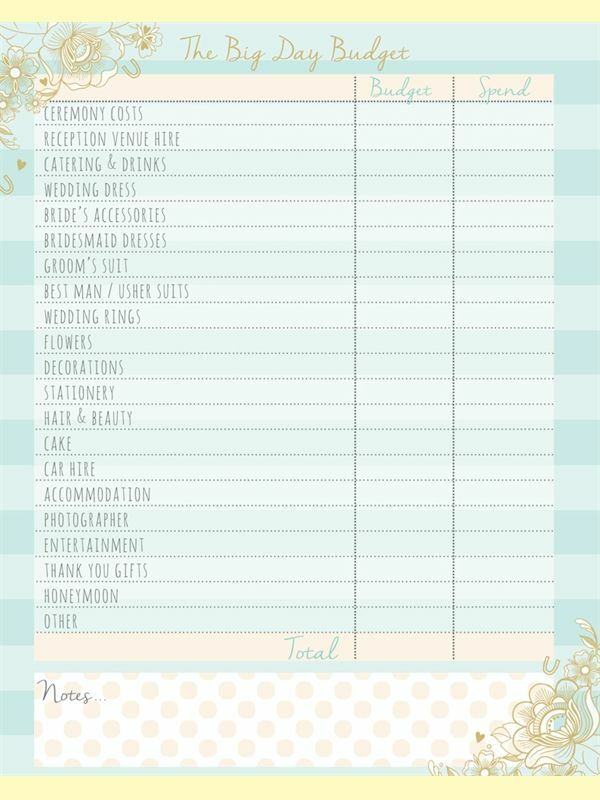 There are 5 different sections within it that range from checklists to table plans! 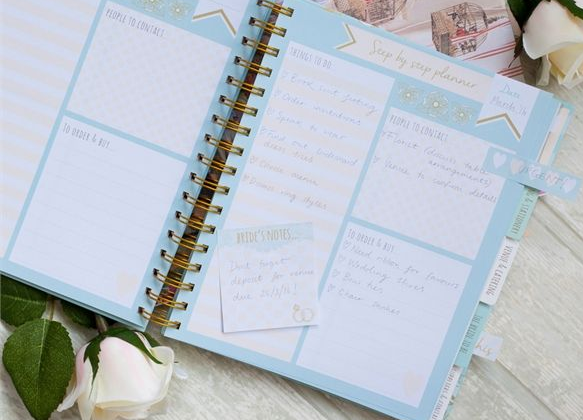 This planner is a fab engagement present and it is beautiful keepsake for the bride!